But now let's talk about my new post, if you've been following my blog for a while you know that every now and then I post a new Episode of my Fashion Dreams may come True series, this time I've selected three bags and three pairs of shoes; I want to underline that they're not copies but cheaper alternatives! Remember, you don't need to spend a fortune to be fashionable! 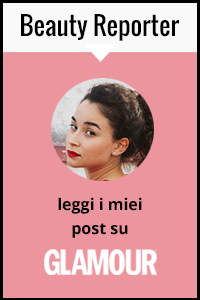 Ma adesso passiamo al post di oggi; se seguite il mio blog da un pò, saprete che di tanto in tanto pubblico una nuova "puntata" della mia serie Fashion Dreams may come True. Oggi ho fatto una selezione di tre borse e tre paia di scarpe; Ci tengo a sottolineare che non si tratta di copie conformi ma di alternative economiche! Ricordate sempre che non è necessario spendere una fortuna per essere trendy! wow amazing idea! very inspiring! uuu adoro questo tipo di post!!!! bellissimo post! io invece ho parlato della celine trapeze e di alcune proposte low cost! wow! wonderful prices! love the clutch, thank you for visit my blog, im following now! Thanks for visiting my blog! we'll definitely keep in touch. I'm in love with the orange bag! !